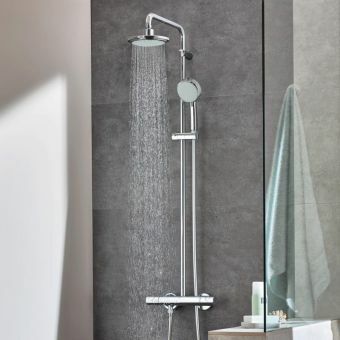 The Roper Rhodes Shower System 1 provides a sleek and clean contemporary look for the modern bathroom setting. 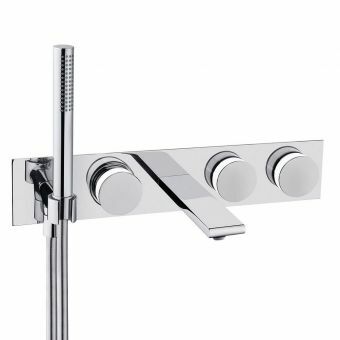 The kit will fit into your bathroom decor if you enjoy simple, straight forward designs and lines. 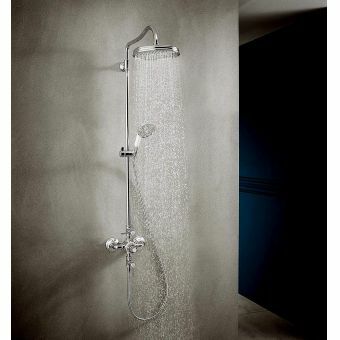 This kit comes with an event two way diverter shower valve and a round 220 mm shower head. 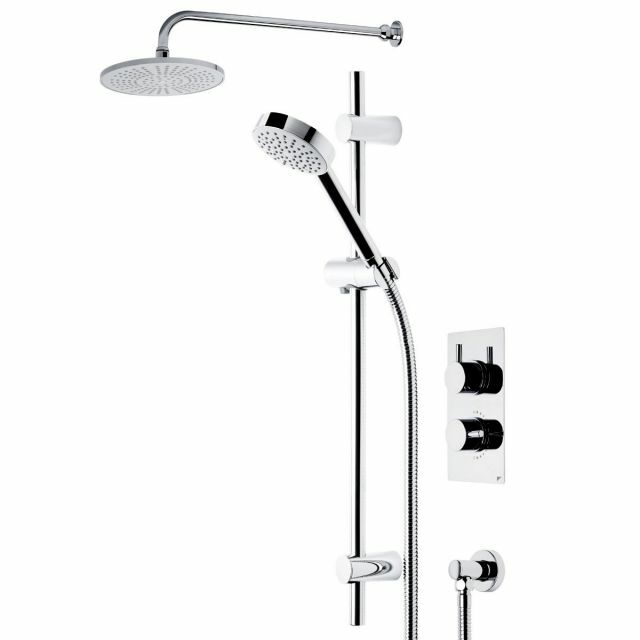 It also features an adjustable fixed arm, wave side rail, shower hose and a round single function handset. 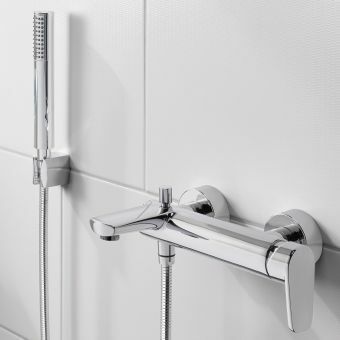 The Roper Rhodes Shower System 1 also comes with the wall elbow so you can mount this kit to the desired height. 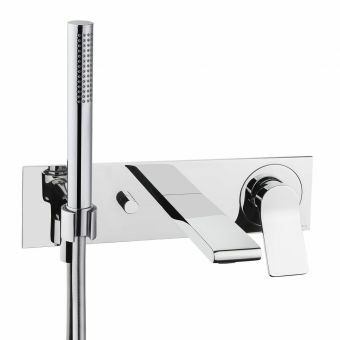 The chrome colour contributes to the clean and modern look. 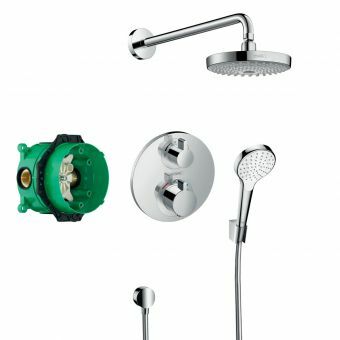 This kit functions best when used with a minimum operating pressure 0.5 bar. 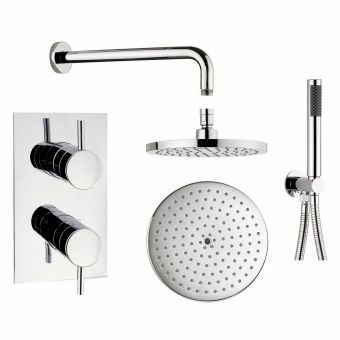 Add style and sophistication to your shower with this clean, crisp and stylish kit.